Welcome to the Society for Companion Animal Studies website. 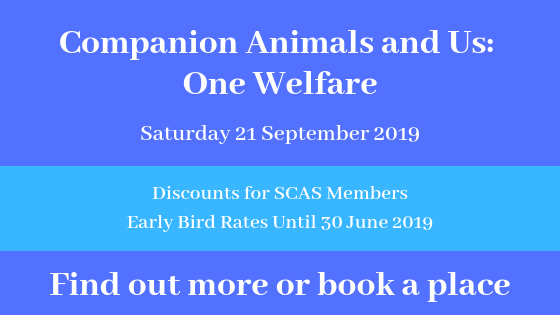 SCAS was established in 1979 to promote the study of human-companion animal interactions and raise awareness of the importance of pets in society. Over the past thirty years SCAS has established itself as the leading human-companion animal bond organisation in the UK through providing education, raising awareness, encouraging best practice and influencing the development of policies and practices that support the human-companion animal bond. Our most recent conference ‘Pets in Housing: Promoting Health and Wellbeing’ was held in March 2018 – thank you to all speakers and delegates who attended. Read SCAS trustee, Emma Dahm’s, blog about this important issue here.